Tomato for beautiful skin? Indeed! Take a look at 5 ways of using this kitchen ingredient for beauty home remedies! If you are someone who is fed up of those dark spots, wrinkles, acne problems and pimple marks, and are looking for permanent solutions to get a glowing skin, then look no further! 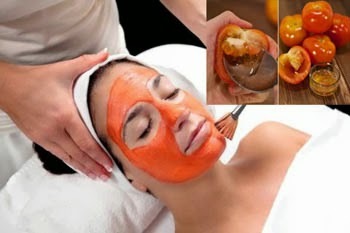 Extract the wonders of a round, juicy, red and ripe tomato juice in your beauty applications. A huge reservoir of beauty-enhancing properties, tomatoes have the power of improving your complexion while keeping your skin dewy and radiant. Read ahead and discover the wonders of beauty home remedies that are a sure-shot hit! 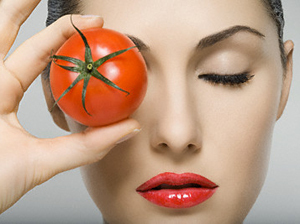 Wondering what’s tomato to do in beauty routine? Well, there are plenty of beauty benefits using a tomato. For example, to increase the lycopene levels in the skin, the paste of a tomato when applied as a face pack helps bring back the soft touch and supple feel. Moreover, lycopene is known to help fight the onslaught of free radicals in the skin and to keep the skin safe from the harmful UV rays of the sun too. 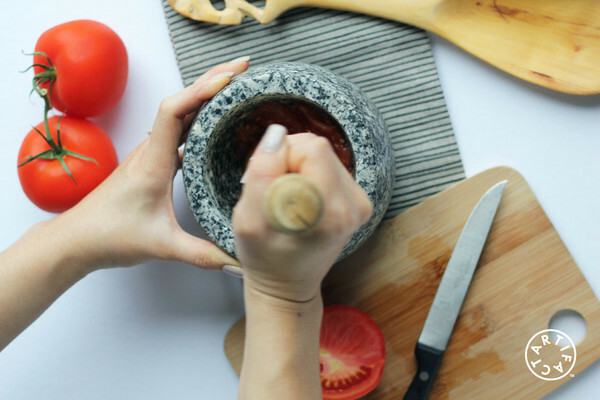 Stay young, stay healthy and allow your skin to glow always with tomato beauty home remedies, tomatoes can help the skin with de-tanning too – without any further ado, here are 5 easy homemade tomato face packs for you to use! 1. Fuller’s Earth and Tomato: For this, you would need one large juicy red tomato. Use a knife to chop the tomato and with the help of your fingers, mash it up into a paste. Add two tablespoons of fuller’s earth, to form a gooey paste. Apply this face pack on your face, your neck and your forehead; keep it for ten minutes and then wash off with cold water. While washing off the face pack, gently exfoliate the skin with circular motions. This is because it helps with blood flow and circulation. Do this thrice a week for the best results. 2. 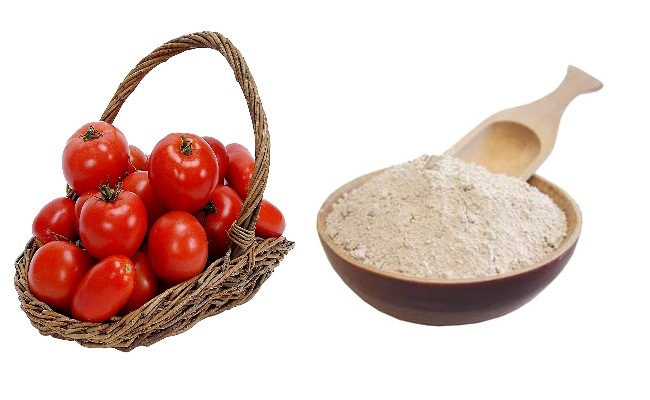 Gramflour and Tomato: A cup of gramflour and a cup of tomato paste (we’ve already mentioned how to make the paste), when formed into a gooey paste helps reduce spots and marks on the skin. The antioxidants in the tomato helps prevent spots and signs of ageing, while gramflour is an excellent exfoliation agent that removes dirt, grime and dead skin cells. Apply this face pack on your face, your neck and your forehead. Keep it for ten minutes and then wash off with cold water. Do this thrice a week for the best results to obtain. 3. Honey and Tomato: A cup of freshly made tomato paste and two tablespoons of honey is what you need. While the antioxidants in the tomato help prevent spots and blemishes from occurring again, keeping the skin clear and clean, honey is nature’s way of moisturising the skin and bringing back the oils for that soft touch to attain. Apply this face pack on your face, your neck and your forehead. Keep it for ten minutes and then wash off with cold water. Do the regime four times a week for the best results to obtain. 4. Aloe Vera and Tomato: Half a cup of aloe vera gel when mixed with a cup of fresh tomato paste helps clear the skin of sun tan, sunburns and inflammation from acne and pimples. While the antioxidants in the paste of tomato helps fight the acne issues, the gel from Aloe Vera helps as an antiseptic and an anti-inflammatory agent too. Apply this face pack on your face, your neck and your forehead, and keep it for half an hour. While washing off the face pack, ensure to be very gentle on your sensitive skin, especially around the acne affected regions. This regime should be done twice a week for best results to attain! 5. 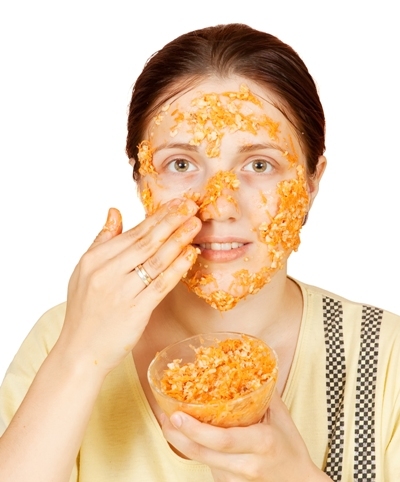 Oatmeal and Tomato: Say goodbye to dirt, grime, dark spots and oiliness of the skin with a cup of oatmeal and freshly made tomato paste (around half a cup). The paste acts as an anti-bacterial and anti-fungal agent, removing dead skin cells, closing open pores, lightning the dark spots or skin issues and removing dead cells. Apply the face pack thrice a week for twenty minutes each time, washing it off with cold water thereafter. We hope you’ve learnt something new through the secrets of beauty home remedies using tomatoes today. Do you have your own tomato DIY recipes for skin and beauty to share? Do write back to us!